In October 2018, I was fortunate to have the opportunity to accompany John Packer, Director of the University of Ottawa’s Human Rights Research and Education Centre, to Chișinău – capital of the Republic of Moldova – to assist and participate in an OSCE-supported training course to improve the effective protection of national minority rights. Moldova has faced challenges since independence and struggles with social issues that impede its economic development. One of these challenges is tension between national minority groups and the central government. The training course was a much-needed way to encourage and help equip the responsible authorities to achieve full respect for minority rights and further social harmony and cohesion. Sandwiched between Ukraine and Romania, Moldova contains two distinct entities that have a contentious relationship with the central authorities – one is de-facto independent Transnistria in the east and the other is ethnically-Turkic Gagauzia in the south, which operates with some autonomy. Having previously researched these two regions for my MA thesis, it was a wonderful opportunity finally to visit the country and see first-hand the situation and dynamics on the ground. I was also able to accompany OSCE officials to Gagauzia and participate in a conference on issues regarding the autonomy arrangement with the Moldovan central government, where I witnessed visible tensions and realised the importance of conflict prevention and reconciliation. It was invaluable to meet and speak with the participants and understand what problems exist with the constitutional arrangement, in order to solve them and allow all Moldovan residents to enjoy their rights and participate fully in society without conflict. Constitutional design is an important part of conflict prevention/resolution and in protecting rights of national minorities. 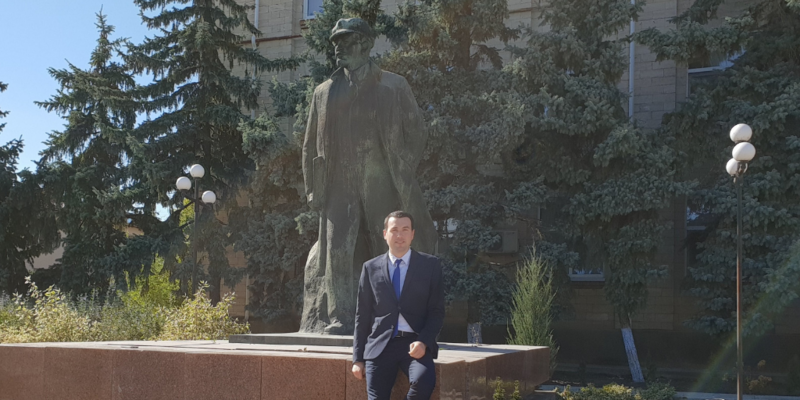 Improving the relationship between Gagauzia and the central government would also encourage settlement of the Transnistrian conflict and help Moldova to move forward economically, as it remains one of the poorest countries in Europe. I am incorporating these and other findings into a Major Paper under Director Packer’s supervision as part of my JD/LL.L. degree. The insight gained from this trip allowed me to apply my knowledge and interests to a real and pressing situation, and overall was a wonderful experience. I was able to meet many different local actors and hear from them directly about the situation, and the contacts established are a huge benefit to both my academic research and career aspirations in international law.